AT&T, Sprint, and Verizon offer family plans that can save families hundreds of dollars per year, but they’re all a little bit different — and that can be confusing. In this article, we’ll compare the prices of AT&T, Sprint, and Verizon’s family plans in 2018 and look at how much an average family of four might pay by carrier for light, moderate, and heavy, and super heavy data usage. I sold a lot of iPhones before I became an Apple tech, so I’m familiar with how difficult it can be to weigh one plan against another. It’s my goal to provide easy-to-understand information so you can make the best decision about which family plan is right for you. If you’re shopping for just one cell phone line, check out my comparison of single line cell phone plans to find the best plan for you. 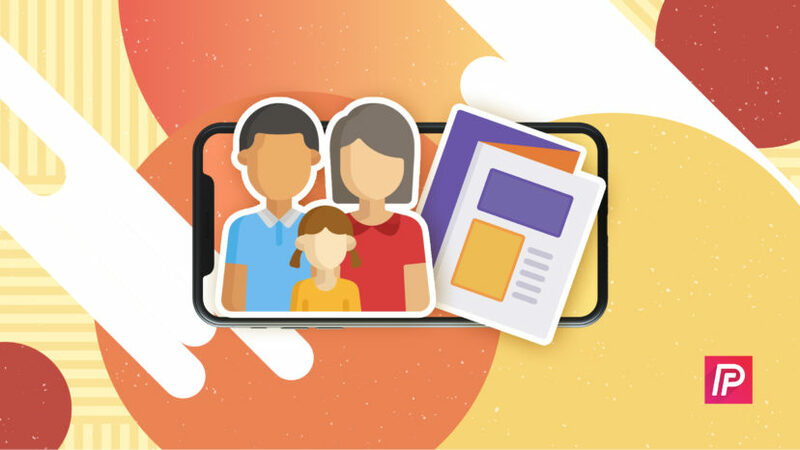 If you already have a family plan, try my brand new cell phone savings calculator to quickly find out how much your family could save by switching to another carrier. You deserve to know that I may receive a referral fee if you click on one of the links on this page. It’s how I support my website, but I never allow money to influence my recommendations or the information I provide. With AT&T, the first question to ask yourself is, "How much data would I like to share between all my phones? ", because the amount you'll pay for talk and text depends on how much data you buy. You'll also notice that AT&T offers no data plans between 5GB and 15GB - that's not an omission. $25 / line for unlimited talk and text if you buy the 5GB or lower data plan. All Sprint plans include unlimited talk and text. Sprint offers two types of shared data plans—one with unlimited data, and one where you choose how much data you want. The access charge for talk and text varies according to the plan you choose. Includes unlimited talk, text, and data. T-Mobile’s stock plan includes unlimited talk, text, and data. You pay a flat rate per line and you get unlimited everything — with a few exceptions. $20 for lines 3-10 Unlimited data included. After 26 GB of usage, your usage is "prioritized below other customers" and you may experience slower speeds. In this example, we’ll look at how much a family of four would pay for talk, text, and data with AT&T, Sprint, and Verizon. It’s difficult to make a perfect one-to-one comparison between the carriers because they all offer different price points on data – but we can get pretty close. We’ll base our pricing on the assumption that our family is leasing their phones through an installment plan with the carrier and not signing a 24-month contract, because that seems to be the most common arrangement these days. In this comparison, we’ll pretend each family member uses around 1 GB of data per month, for a total of 4 GB. All of the plans include unlimited talk and text. This time, we’ll pretend that each member of our family of four uses around 3 GB of data per month, for a total of 12 GB. In this example, each member of our family of four uses an average of 6 GB of data per month, for a total of 24 GB. In our last example, each member of our family of four uses an average of 12 GB of data per month, for a total of 48GB. For families that use a moderate amount of data, all of the carriers’ prices are in the same ballpark. For families who use around 24 GB per month, the numbers start to separate. Sprint has the least-expensive option, Verizon is a little more, and AT&T is much more expensive than the other carriers. The data hogs have a clear winner: Sprint. Over the course of a single year, a family of four that uses 48 GB of data per month would spend $3,060 with Sprint’s unlimited data plan, $5,220 with AT&T, or $6,120 with Verizon. That’s right: A family of data hogs could save $3,000 / year by switching to Sprint. Choosing a carrier isn’t just about the price: It’s about coverage, service, your experience, and your gut feeling. Run the numbers using my cell phone savings calculator and don’t be afraid to make a switch — you could end up saving a lot of money in the long run. And if you’re in the market for a new phone plan, check out my hand-picked list of the best offers from AT&T, Sprint, and Verizon in 2018. Next Article How Do I Turn Off Find My iPhone On An iPhone? Here’s The Fix!